Once you begin to question one area of life, the lies suddenly begin to unravel everywhere. Along the way, you are likely to encounter all sorts of characters shouting their version of the “real story” from the rooftops. When you find someone as eloquent, trustworthy and well-researched as Dr. Pam Popper, however, you grab your seat and listen. As you will find, she held nothing back in this, our second conversation (she also appears on episode #6). She starts off with a bang, describing her concern with the over-medication of Americans for mental illness, pointing out that the commonly held notion of a “chemical imbalance in the brain” has no research base. She goes on to call into serious question the safety and value of vaccines, powerfully illuminates the profound dysfunction and profit motives in our system of modern medicine, and concludes with critical health care recommendations that can benefit everyone. While we discuss some challenging topics, where we are always ultimately left at the end of conversations like this one with Dr. Popper is with profound hope, marveling at the natural power and grace of the human body. It seems that if we simply nourish it properly and avoid or eliminate the toxins that the modern world promotes, it functions beautifully, quite capable of living a long and healthy life. Certainly, this formula is playing out perfectly for Pam. She is now 61 and has no vision of retiring or slowing down. She owns her own gym and yoga studio, eats a whole-foods plant-based diet, works around the clock as a doctor and teacher (by choice and loves it), and pumps out two videos and a ton of content each week spreading the truth about some of the most controversial health issues of our time. If the truth about nutrition, drugs, disease and the human body interests you, you will hang on Dr. Popper’s every word. Enjoy! Dr. Robert Ostfeld has emerged as one of the more vocal leaders in the movement to educate both our population and our medical professionals about the vast powers of the whole foods, plant-based diet. And, he is conveying his powerful message from within the food desert of the Bronx, NY. He not only helps his patients reverse their debilitating conditions of heart disease, he actively promotes the preventative powers of the diet by hosting healthy and open community whole foods plant-based meals and by actively promoting the diet through interviews such as this one. We discuss the myriad of success stories he has personally witnessed, the hurdles to sharing this simple message and the power of community in triggering lifestyle changes. This is an episode which could literally save your life or the life of someone you love. Enjoy! Fierce determination. This describes the look on Theresa’s face after watching the documentary, “Forks Over Knives”. Having always suspected that her diet was “off” & while currently watching her father suffer from cancer (which, as she learned in the film, is directly connected to eating meat and dairy), Theresa’s mission became clear: transition to the whole food, plant-based (WFPB) diet and, then, help others do the same. The result has been a dramatic transition across virtually every area of her life – weight loss, sleep, fitness, focus, feeling connected with nature, even the birth of her daughter – all directly helped by her diet. On this episode of the Ownstream Podcast, she discusses the 4 steps to effectively transition from any diet to the WFPB diet, the myths surrounding protein and calcium, she reveals her dramatic history with food, health, body image and healing and so much more, plus how you can work with her to help enact these dramatic changes in your life too. Enjoy! Ronnie Landis fancied himself a professional basketball player. He had also spent years training as a martial artist, obtaining many a black belt along the way. But, a knee injury caused him to contemplate healing which opened up an entire world to him of nutrition, the power of living food & walking the true path towards fulfilling his destiny. He is now at the true leading edge of nutrition and self-transformation, making the clear claim that our diet IS the catalyst in becoming who we are truly meant to be, a fact often missed by those seeking to fully evolve. In this conversation learn about Ronnie’s path towards optimal nutrition, what “dis”ease truly is and how we can mitigate and reverse chronic conditions with food, how cooking food de-natures it reducing its ability to support health, that sobriety – for him – is about detoxifying from the illusions painted by the mainstream and stepping into a truly “magical” reality filled with spirit and possibility. Anyone interested in becoming fully expressed and making a powerful impact on the world will love this conversation with Ronnie Landis as virtually everything he says is filled with depth and profound inspiration. Enjoy! Mobile living is becoming more and more popular, as is evidenced by the rise of the tiny house on wheels, people living in RV’s and the #vanlife movement (just check Instagram). So, why did we recently purchase our own 2005 Dodge Sprinter van to convert into a movable home? What is our plan for designing the interior, and where do we plan to travel? And, most importantly, what are we searching for through this project and, as important, what are we leaving behind? This episode of the Ownstream Podcast features co-founders Stephen and Theresa discussing the project, including how we manifested the perfect van for us and why now is the perfect time for us to join the #vanlife lifestyle. Enjoy! Coffee, Cookies & Cheese. This was the basic, daily diet for Pam Popper (before she was “Dr.” Pam Popper). She was overweight, unhappy and exhausted. She was 38. And she smoked 4 packs of cigarettes per day. Now, she is one of the preeminent experts in the expanding field of diet and chronic, western disease. She, like Dr. T. Colin Campbell & Dr. Caldwell Esselstyn, is now at the forefront of a true revolution. One which advocates eating a whole-foods, plant-based diet, eliminating processed foods (as much as possible) and learning how to tell your doctor, “no”. In this interview, Dr. Popper most importantly shares with us the urgent need to move away from the standard western diet, embracing a whole-foods, plant-based diet (WFPB). She also discusses the tragedy of modern medicine & her new, empowered vision of healthcare. Become the ultimate “lifestyle entrepreneur” by embracing the new, empowering paradigms emerging in our time. 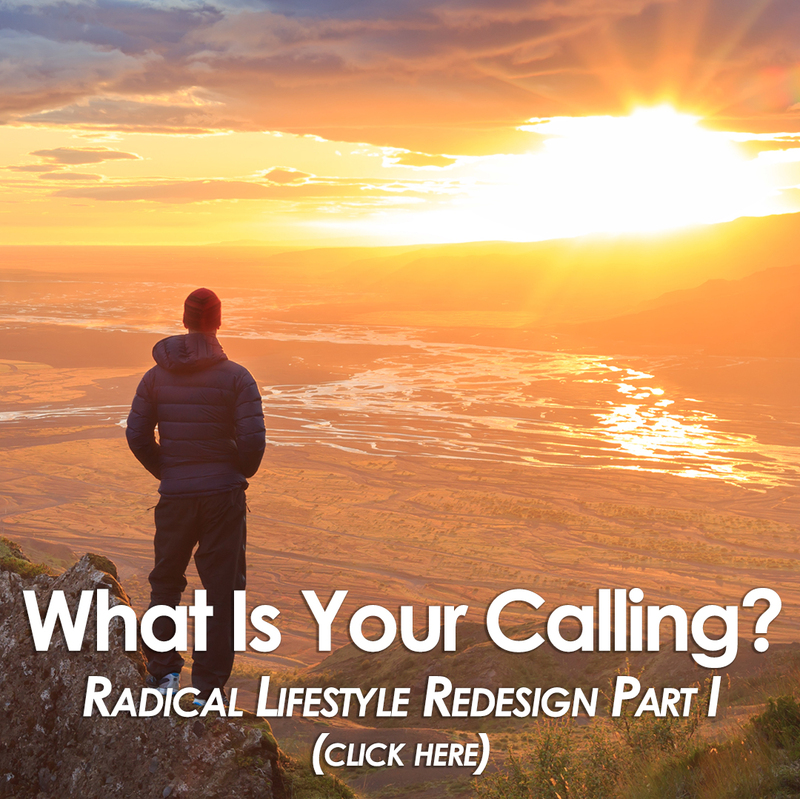 The mainstream, traditional path in life asks each of us to make 7 major decisions in building our lifestyle. What are the exciting alternatives being created today, which embrace more freedom, flexibility & abundance? Stacey Murphy was on her way to her day job some years ago in New York City, when her body simply would not allow her to go any further. She called in sick and wandered over to a farmers market. Here, observing the interplay between farmer, food and soil, she felt the exciting stir towards entrepreneurship. 6 months later, she quit her job and embarked on her journey as an urban farmer in Brooklyn. She now lives as a digital nomad, teaching people from around the world to grow their own food. Learn about her journey and more in this episode of the Ownstream Podcast. What is the Ownstream Podcast? Episode #1 features co-hosts Theresa Sgobba & Stephen Shelley introducing the series & discussing their unique journeys including: minimalist travel, the whole-food plant-based diet, tiny houses, their vision for 2017 & more.